A strong commitment to innovation and respect for the environment brought SMI to design "ex-novo" a complete bottling plant for still and sparkling water at Stella Alpina plant in Mojo de' Calvi (Bergamo). The new SACS (Stella Alpina Cost Saving) line was devised, designed and created by SMI - over a surface area of just 800m2 - to produce up to 14,400 bottles per hour in a more efficient and economical way compared to the pre-existing bottling plant at that spring. 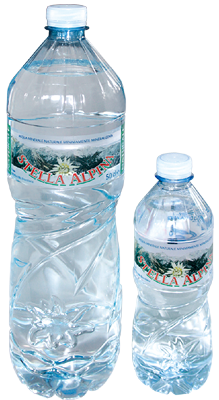 Advanced technical solutions enable to significantly lower the costs of production of every Stella Alpina bottle, in the full respect of the surrounding environment. If compared to the pre-existing bottling plant, SACS has delivered huge results in terms of compact footprint, energy saving, production efficiency, operating flexibility and TCO (Total Cost of Ownership). The new line is made up essentially of just two machine blocks which, conveniently integrated, allow for lower costs and consumption. The first block consists of the primary packaging unit ECOBLOC® PLUS, an integrated system of stretch-blow moulding, filling / capping and labelling, thus providing consistent cutbacks in terms of initial investment, maintenance costs and energy consumption. 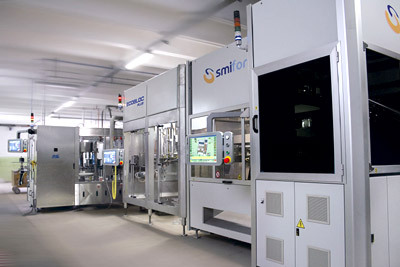 The secondary packaging unit, designed by SMI from scratch and named PACK BLOC, is an innovative shrink film packaging system which includes high integration between the shrinkwrapper and the palletiser; this solution has allowed for the area occupied by the end-of-line machines to be much smaller than usual due to the dramatic reduction in the quantity of conveyors connecting them. » up to a 50% reduction in thermo-shrinkable film, achieved by equipping the shrinkwrapping machine with a new knife with a motorised blade controlled by digital servo-drivers, which allows for the use of shrink film with a thickness less than 30 micron (as against the 50- 60 micron previously used by Stella Alpina) for the 3x2 format of 0.5L bottles. 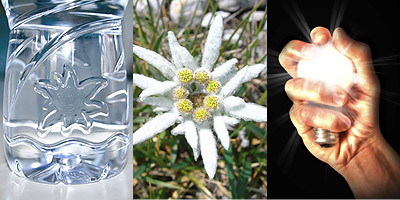 The consumption of water used for cleaning the plant has been reduced by up to the 90%, thanks to the "baseless" technology applied to the filler, which allows for the base of the machines to be "freed" from moving components and mechanical parts, where dirt and waste from the production process usually accumulates. -use of high energy-efficiency motors on the conveyors. Thanks to the use of integrated machines, of high energy-efficient motors, of air and heat recovery systems, as well as to the lightening of primary and secondary packaging material, a reduction in CO2 emissions of up to the 50% has been accomplished. Please get in contact with our Sales Department for further information about the SACS project and on all energy-saving solutions provided by SMI.